You are currently browsing the archives for the HH Drikung Chetsang R. 1 EN category. 1 – H.H. Drikung Kyabgön, Chetsang Rinpoche: Amitabha Buddha and the Pureland of Dewachen. 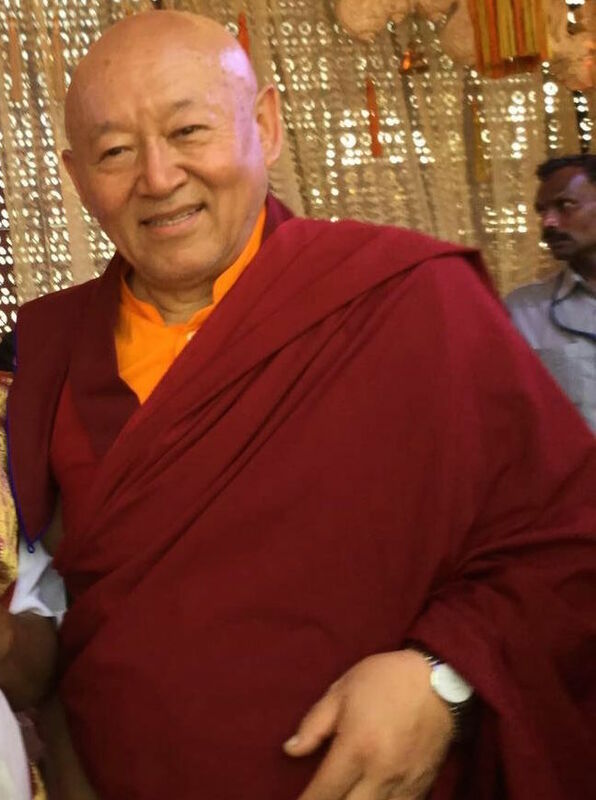 His Holiness The Drikung Kyabgön, Chetsang Rinpoche: Nothing could possibly come into relative existence without the ultimate grounding in emptiness. 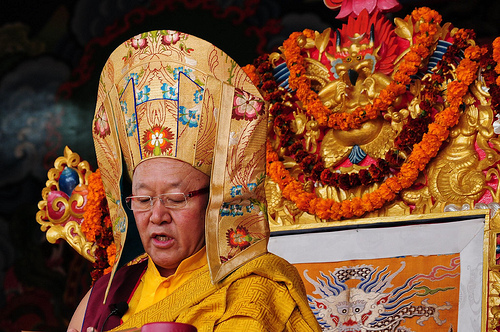 1 – His Holiness The Drikung Kyabgön, Chetsang Rinpoche: Amitabha Buddha and the Pureland of Dewachen. This morning His Holiness is going to give teachings concerning Amitabha Buddha, the Buddha of Boundless Light, and His Pureland. In conjunction with the teachings in general, this afternoon, His Holiness will teach how to obtain the transference of consciousness to the Pureland of Amitabha Buddha through this practice. Specifically, He will teach you how to practice the text of which all of you should get a copy. It is the daily sadhana for the practice of Amitabha Buddha. Yesterday, you received that empowerment. Aggiungi Commento » Comments Off on 1 – H.H. Drikung Kyabgön, Chetsang Rinpoche: Amitabha Buddha and the Pureland of Dewachen. 2 – H.H. Drikung Kyabgön, Chetsang Rinpoche: Amitabha Buddha and the Pureland of Dewachen. 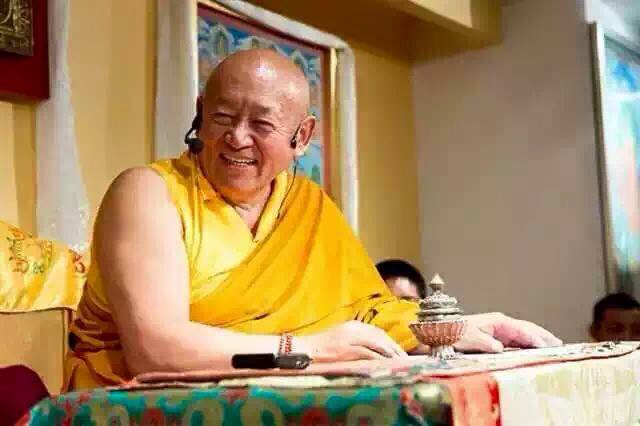 His Holiness The Drikung Kyabgön, Chetsang Rinpoche: As opposed to other purelands, the process of accumulating merit and wisdom is very rapid in Dewachen. 2 – His Holiness The Drikung Kyabgön, Chetsang Rinpoche: Amitabha Buddha and the Pureland of Dewachen. Aggiungi Commento » Comments Off on 2 – H.H. Drikung Kyabgön, Chetsang Rinpoche: Amitabha Buddha and the Pureland of Dewachen. 3 – H.H. Drikung Kyabgön, Chetsang Rinpoche: Amitabha Buddha and the Pureland of Dewachen. His Holiness The Drikung Kyabgön, Chetsang Rinpoche: Emptiness and interdependent origination are non-dual. 3 – His Holiness The Drikung Kyabgön, Chetsang Rinpoche: Amitabha Buddha and the Pureland of Dewachen. Aggiungi Commento » Comments Off on 3 – H.H. Drikung Kyabgön, Chetsang Rinpoche: Amitabha Buddha and the Pureland of Dewachen. 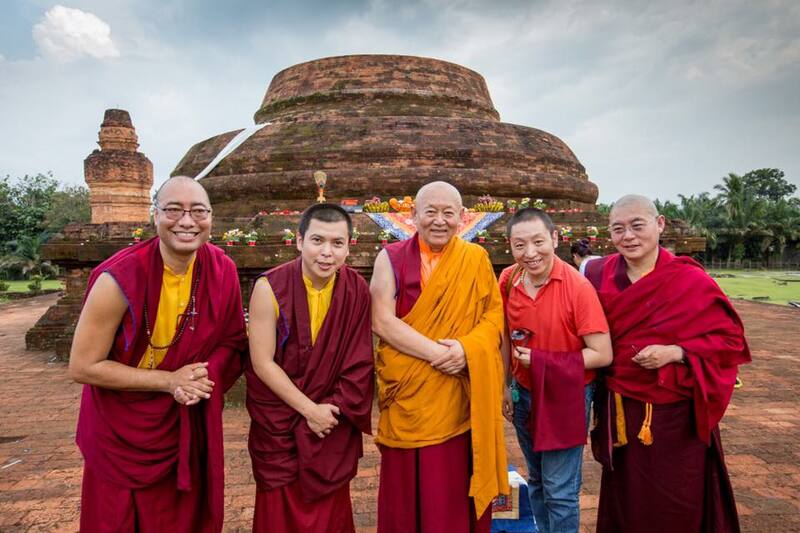 His Holiness The Drikung Kyabgön, Chetsang Rinpoche: These are some of the relative benefits you acquired. The Oral Commentaries of His Holiness The Drikung Kyabgön, Chetsang Rinpoche. 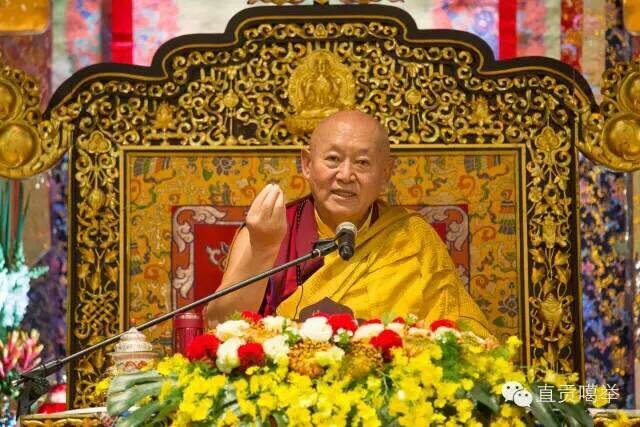 His Holiness The Drikung Kyabgön, Chetsang Rinpoche: This is a non-dual practice of sutra and tantra leading to non-dual realization, and non-dual accumulation of wisdom and merit. 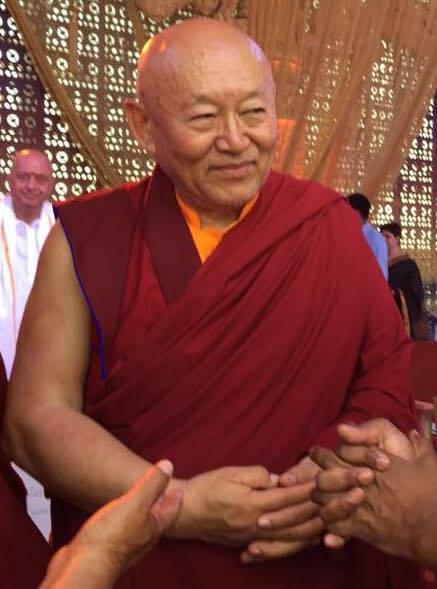 His Holiness The Drikung Kyabgön, Chetsang Rinpoche: Refuge Vow Ceremony.